You are like we said in French formidable. Buscando un bolígrafo entre mis recuerdos, encontré una caja igual a la tuya bijou box No. 2 Winsor & Newton, la compre en 1987 cuando entre a la preparatoria y jamás la use ya que me cambie de colegio inmediatamente, he buscado información de ella ya que la quería cambiar por alguna pintura o acuarela pero o encuentro mucho ya que como dices no se vendió en todo el mundo y además tiene mucho tiempo que se cambio por que esta es en verdad de una calidad insuperable. Me podrías ayudar a saber cuanto vale. Any chance you’d part w/ that Bijou Box? I’m willing to cough up some dough if you are! Lemme know. I’m rather attached to it, it’s been a companion for several years. I wouldn’t sell it, I’m sorry. I got it from a UK eBay seller that was selling new old stock from a closed up art supply store. I would not be surprised if you could still find some like that on the UK eBay. It’s worth a shot! Good luck finding one like this. They are collector’s items now. But you can still get the Whiskey painter’s version which is similar. Hey my friend you can now get this on Amazon there are to places that put this exact pallet out currently, Shimkee and Whiskey Painters! For about $60-$95 hope this helped anyone currently looking for this soon to be obsolete pallette! Hurry! I recently got mine which has four wells without WN logo on the lid. I like the design of this tiny box. I just recently acquired the WN Bijou #3. The logo is not on this box either. However, I do own the more recent Bijou identical to one above with the logo. I’ve had my eye on the W&N Bijou Box for some time, now. I would really be happy if you consider selling one to me. I have three of these gorgeous boxes, new version with two mixing areas. Made by same company who made the Windsor and Newton ones. Mine has no name. 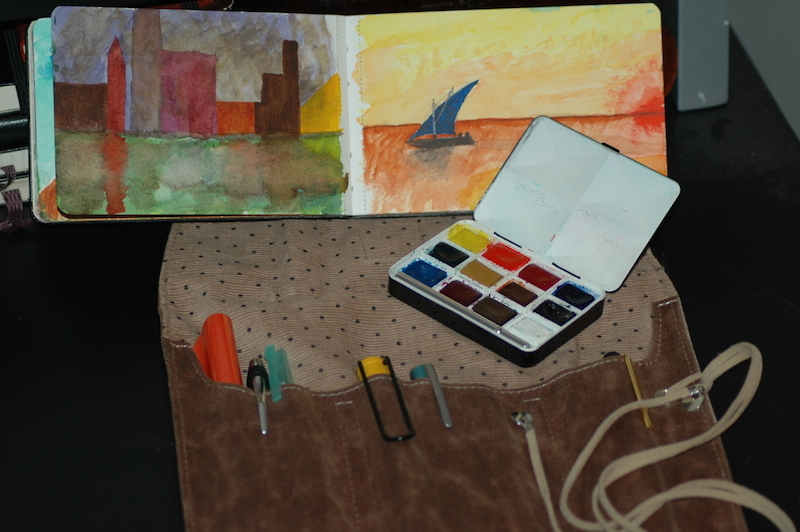 They are empty, no watercolour pans but they have the small windsor and newton brush. Brand new, never used and excellent quality. You can then add the colours you want. If you are interested let me know. I have my one one so i don’t need the other three and i would like to sell them. I’m interested in purchasing one of these boxes. Let me know how i can get in touch with you. I’m also interested in one of the bijou boxes, if you still have one. I’m in the US. Thanks!